The Big Easy is a five reel slot with three rows and twenty fixed paylines; those reels float in front of a New Orleans street setting with jazz bars and balconied wooden buildings lit by lamplight. All the symbols are related to the theme and include the jazz singer, the trumpeter, the psychedelic keyboard, the saxophone, the street view, the street lamp, the plate of seafood, a glass of bourbon and a music flyer. The Big Easy logo is the wild and the bonus symbol and it will replace all others to help form winning matches except for the moon scatter icon. Landing three, four or five of the moons will pay 4x, 11x or 20x the total bet. 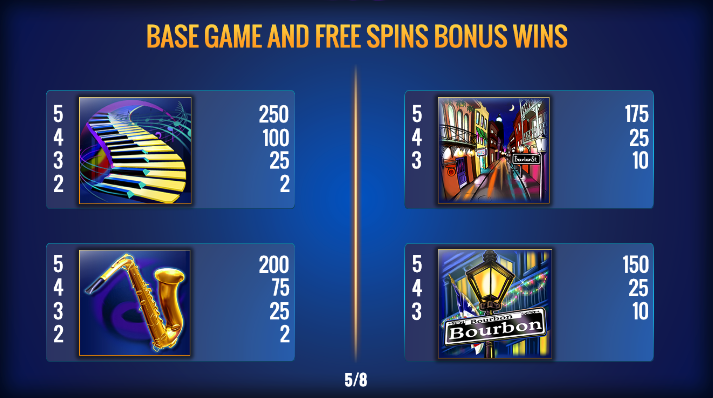 Three Bonus Symbols – 8, 10 or 15 spins + 2x, 3x or 4x multiplier for any wins. Four Bonus Symbols – 16, 18 or 20 spins + 5x, 6x or 10x multiplier for any wins. Five Bonus Symbols -22, 24 or 25 spins + 7x, 8x or 10x multiplier for any wins. 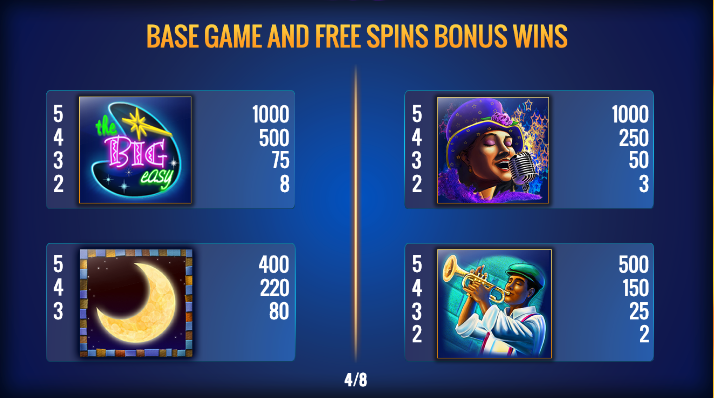 The number of spins and the value of the multiplier is determined before the round begins as you choose a jazz bar (spins) and then a musical instrument (multiplier). More spins can be triggered during the spins by landing at least three wild/bonus symbols again. 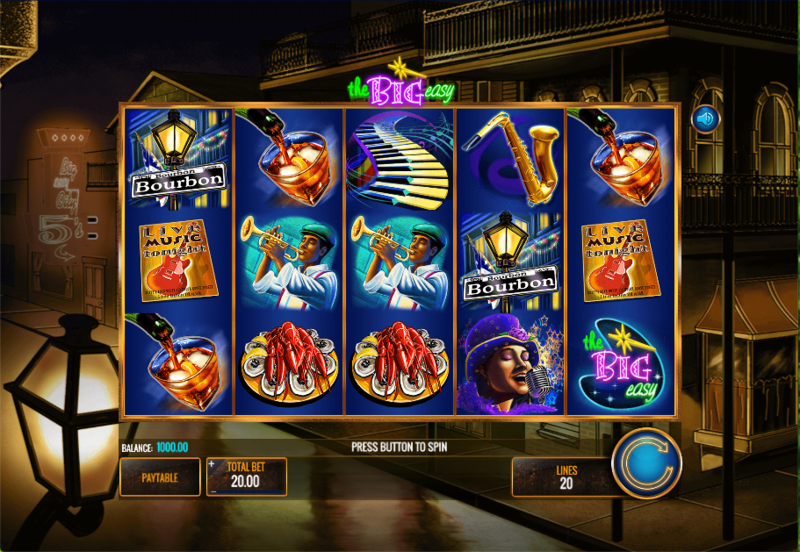 The Big Easy is a relaxed slot with a nice chilled atmosphere and it takes us back a few decades to when New Orleans began to emerge as the home of Louisiana jazz; there are wins on offer for the luckier players in the free spins round and the base game.